Andy’s Appliance Repair & Parts House is factory-trained and authorized to provide affordable appliance repair to the folks of Gretna. 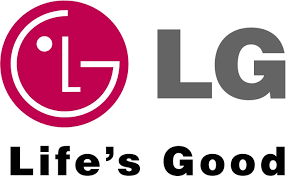 We are LG factory certified and continue to increase our skills by attending additional LG training every year. If you are in need of domestic appliance repair on appliances like ovens, ice makers, dishwashers, fridges, washing machines, dryers, and more, Andy’s Appliance Repair represents an ideal blend of quality and value. We don’t charge you an arm and a leg to get the job done the right way. We’ve been serving Gretna, Lincoln, Omaha, and beyond with quality kitchen appliance repair for over 45 years, so it’s safe to say we have an understanding of what this industry demands. We conduct ourselves with a “guest mentality” approach when our Master Certified Technicians are in your home. We even put booties on our feet to keep your house clean. Our technicians put their tools and bag on mats so we don’t damage any surfaces because we care. People have come to trust Andy’s Appliance service because we are reliable. We stand by our 2- hour appointment windows that we’ve made, and we make a point to be respectful, polite and professional when we are in your home. An example of this commitment is we won’t ring your doorbell when we come to your place, just in case there are any little ones laying down for nap time! We are dedicated to accurately diagnosing the problem and finding a solution so that we can get your daily life back on track. We will provide you an estimate for the repair and often complete the repair same day with the extensive parts inventory in our van. We are friendly, reliable, and we’ll get the job done in a timely matter. For many of our customers, this thrills them because it means they don’t have to take the entire day off of work, and neither do they need to stress about some random person being in their house unattended.